Home/Our Announcements/Our store is OPEN! 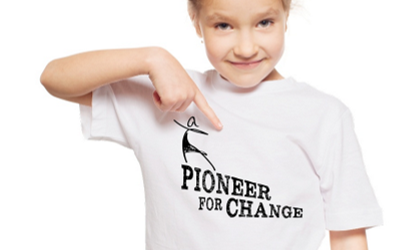 New Campaign Features Limited-Edition “Pioneer” Content Which Benefits Movie Completion Costs. We are so excited to announce the launch of our Fundraising Store! Opened just in time for the November 27 #GivingTuesday international day of giving, the Store aims to raise money and public awareness for the film. 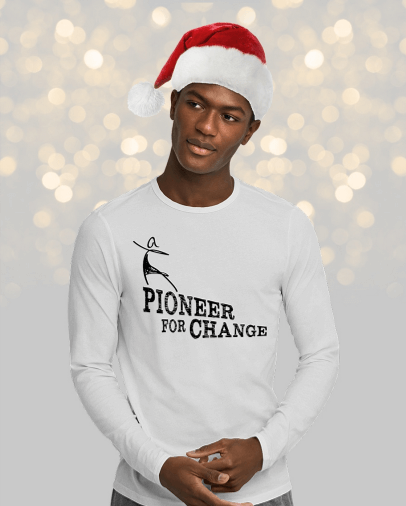 Part of an overarching theme for our Pioneer For Change campaign, the Store is scheduled to run through the holiday season and stay open well into Q1 2019. The theme: play your role towards achieving gender equity for women and girls. After years of following teens & women in their real-life experiences, we’re thrilled to be at “picture lock” and in the final stages of post production. But — in order to premiere in the coming months, we must ramp up our efforts to raise film-finishing funds. And, we must simultaneously get ready for premiere! It is essential we hype up the movie and pull in an audience!! The store is offering shirts and sweatshirts for women and men of all ages. The design is also on bags, cups and magnets. We have big plans for this impactful and timely film, and invite YOU to join our women-led team by purchasing items for you and your friends! ALL profits go towards movie completion costs. Pioneers in Skirts a feature documentary currently in post-production with a target premiere for Q1 2019. Watch the movie trailer: click here. The film is a true story about a young ambitious Hollywood Director who is shocked to feel her ambition slowly eroding. Fighting-on and refusing to let anything stop her from achieving her dreams, she goes on a nationwide journey to elevate the conversation of the social and individual causes for gender disparity while providing a platform so women (and men) can achieve real change.